If you’re someone who already vapes, using a wax atomizer is the easiest way to get into dabbing. Wax atomizers have a 510 threading just like you would find on sub-ohm tanks and RDAs, which means that they’ll work with your existing vape mod. Rather than needing a whole rig, wax atomizers allow you the freedom of portability without the loss of potency. If you’re looking for the best wax atomizer to use with your vape mod then look no further. We’ve put together a list of the best wax atomizers that you can get in 2019. If you want the absolute best wax atomizer for your existing vape mod, look no further than the Brain Fogger. Compatible with either Temperature Control or Wattage mode vaping, this handy little guy offers the best performance possible thanks to its reverse stacked coil design. This setup first melts the concentrates on the upper coil, allowing it to flow down to the lower coil and be vaporized. This results in extremely clean and hard hits, all from a very low powered atomizer. For easy cleaning, the Brain Fogger has a fully detachable structure. This means that you can easily take the entire atomizer apart for a thorough cleaning. This ensures top performance and the cleanest flavor. The Brain Fogger will function best from 7-10W, and can be used with any 510 vape mod. You get all of the power of a traditional rig, packed into a small and easy to use wax tank. For the value and vapor/flavor production, you can’t beat it. The original Saionara was a beast, and the Sai 2 is no different. Constructed of stainless steel, the Sai 2 brings the full dabbing experience to your mod. Improving upon the original, the Sai 2 sports both top and bottom airflow. This gives you complete control over your draw, and the smooth hits make for a very pleasurable dabbing experience. Part of the Sai 2’s allure is the sheer amount of coil options. While most wax atomizers only have one or two coils available, the Sai 2 has a whopping eleven (11)! Made of various materials, you get the choice of either single, dual, or triple coils. They also come in a wide range of resistances. The Sai 2 is meant to be used from 10-30W, but it’s recommended to start low and work your way up to a wattage that you’re comfortable with. Included with the Sai 2 is everything you need to get yourself up and dabbing with your vape mod. The Pulsar APX Wax Atomizer is not only beautiful, but practical too. Due to its glass tank and mouthpiece construction, the flavor from the APX is super clean and very flavorful. While this can lead to issues of breakage if you’re not careful, the performance is worth being super careful. The Pulsar APX uses triple quartz coils and a very durable solid ceramic chamber. The result is a tank that heats and vaporizes wax quickly and efficiently. 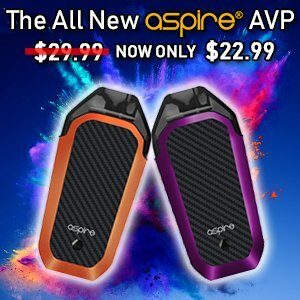 The Pulsar APX will work great with your existing 510 vape mod, and should be used at 15-30W. If you want a wax atomizer that will deliver a clean and full bodied flavor, check out the glass Pulsar APX Wax Atomizer. The Green Bullet Dab Tank features a thin and long profile that resembles an e-cigarette. But the difference is that this baby isn’t meant to vaporize nicotine e-juice. The Green Bullet delivers powerful pulls for its size, and is a cheap and effective 510 wax atomizer. Using dual quartz coils and a ceramic chamber means that you can expect smooth pulls and good flavor. Due to how thin it is, the Green Bullet is best used with an eGo style battery if you’re trying to be stealthy. However, it will function just fine at very low wattage (below 20W) on your existing mod. Definitely one of the best choices for a wax atomizer, the Honey Stick Stinger is impressive. The advanced ceramic coil delivers the purest flavor with substantial cloud production to match. And like the other wax tanks on our list, the 510 threading is compatible with most 510 mods. For the best performance, the Stinger should be used anywhere from 10-15W. The solid construction and superb performance of the Honey Stick Stinger make it a prime choice for a dab tank. Known for their strong reputation, Grenco Science are a brand that are strongly trusted. This is because they were the first to produce and market devices and tanks meant for dry herbs, oils, and concentrates. Their sheer variety of product offerings is unmatched. The G Slim Quartz is a small and discrete tank that still gets the job done well. Because of its quartz rod heating element and all glass vapor path, you get clean and smooth draws that will satisfy even the most picky vaper. 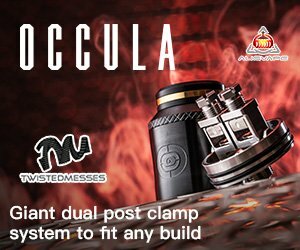 So just what makes a wax atomizer different from your regular, every-day sub-ohm tank? First and foremost, it’s the material that can be used with the tank. You see, the sub-ohm tanks that you may be used to with e-cigarettes are meant to vaporize only ejuice. On the other hand, wax atomizers are made to handle concentrates, and will vaporize them appropriately. A wax atomizer consists of a heating element which is usually a coil made of titanium, quartz, or ceramic. Some tanks may have one coil, while others can have two, or even three. All of the wax atomizers on our list have a 510 threading, which makes them compatible with your existing vape mod. Keep in mind, however, that these wax tanks are meant to be used at very low attages (below 30W in most cases). Due to their varying constructions, you can get wax atomizers that will provide a very tight draw, and others that will be more airy. Also a factor is the material that the tank is made of. Glass constructed tanks will have a cleaner flavor, but will also heat up faster and be more prone to breaking. Metal tanks on the other hand, will be much more durable. Why Use A Wax Atomizer? There are numerous reasons to use a wax atomizer over a traditional dab rig setup. Using a wax atomizer allows you to use your existing setup, and start dabbing right away! You don’t need to go out and spend money on an entire, expensive dab rig. Instead, if you already have a vape mod, you can simply purchase a wax atomizer and be set to vape!